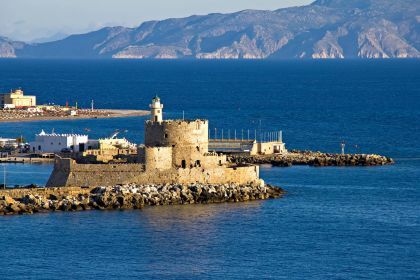 Why should you include Rhodes in your yacht cruise in the Dodecanese islands? Imagine the wonderful windless bays and 250km of picturesque sea line where pristine sandy beaches alternate with impressive crags. 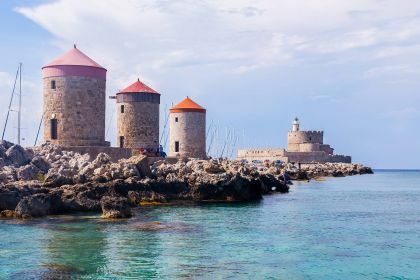 Lots of sunshine, imposing castles and fortifications, authentic Greek hospitality and tons of fun are waiting for you on Rhodes. Call or contact your friendly Abberley charter broker here for assistance in planning an postcard-perfect yachting vacation in Rhodes and the Dodecanese islands. Why should you include Rhodes in your yacht cruise in the Dodecanese islands? Because from the deck of your luxury sailing ship or motorboat, you are guaranteed to enjoy only the best of this diverse yachting and travel destination. It’s not known as the island of Helios, God of the Sun, for nothing. Imagine the wonderful windless bays and 250km of picturesque sea line where pristine sandy beaches alternate with impressive crags. Lots of sunshine, imposing castles and fortifications, authentic Greek hospitality and tons of fun are waiting for you on Rhodes. Experience the magical combination of leisurely walks, relaxing swims, lazy siestas and generous taverna meals – just the way to unwind and forget some of the stresses of daily life. In the northern part, you can discover its electric party beaches, historical old town, its Byzantine chapels and medieval mansions. Sailing to the east, you can visit charming Anthony Quinn Bay, a paradise for swimmers and snorkellers. Further to the east is the delightful town of Lindos, favoured by the British and home to one of the best diving schools on the island. Sit on the deck of your luxury yacht, sip your refreshing glass of wine and you will fall in love with the sparkling sandy beaches, quaint little villages and astonishing sunsets in the southern part of Rhodes. To the west of Rhodes, just half an hour away by yacht, is the tiny island of Chalki. Knowledgeable sailors visit this island for the appetising food in the village taverna, laid-back atmosphere and isolated beach situated in a gorge, flanked by rocky mountains. Having circled this island paradise, you’ll probably feel like starting all over again. Or you may choose to spend a day sailing to the famed nearby island of Simi, known for its neoclassical architecture – an unusual feature on a small island next to the Turkish coast. Whatever your plans, contact your friendly Abberley yacht charter broker and we will help you make them a reality. Give us a call or leave your enquiry here and we will give you all the help you need to plan your next sailing or motorboat vacation happen. 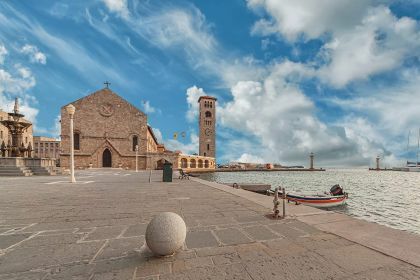 Don’t miss out on the unforgettable marvels of Rhodes and Greece’s Dodecanese islands.